Since there are six books in the series and I recently binge-read them all, here are my mini, non-spoiler reviews of the first. Summary: Two races of vampires walk our world. One, the Moroi, are alive and wield elemental magical. The other, the Strigoi, are undead and evil—feeding on the innocent to survive. Rose Hathaway—a half-vampire with poor impulse control—is training to be a bodyguard for a Moroi princess. Learning to decapitate and stake is hard enough, but Rose's real danger may lie in an illicit romance with one of her instructors. 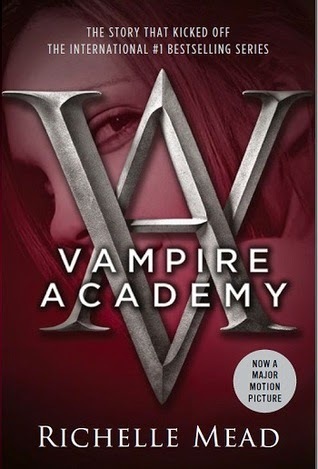 Vampire Academy sets the stage for the series in a fast paced, engaging way and I was so happy to like it as much as I did. Rose Hathaway, a half-human half-vampire Dhampir, and her best friend Lissa, a Moroi vampire princess, have been on the run since leaving their school St. Vladimir’s Academy. But then their school drags them back, where they have to face the consequences of their actions. Which means Rose throws herself into training, including extra sessions with Dimitri (!! ), one of the Guardians who found them, and proving she is the only person qualified to be Lissa’s bodyguard. And Lissa is forced to be royalty again. Rose is the heroine and quite frankly, the freaking star of this whole series. She is so headstrong, passionate, funny (seriously, her retorts and attitude cracked me up), loyal to a fault and just an overall great voice to narrate these books. Even when Lissa wasn’t exactly my favorite person, I loved their friendship. Then later as Rose and Dimitri start spending more time together, I think we all know where this is headed and man, was I on board for that. It’s swoon-worthy plus given the forbidden factor it’s hard not to enjoy this romance. But again, this is just the start of getting to know these characters and of Rose and Lissa beginning to delve into the secrets of their vampire lore. Frostbite might just be my favorite of the series. Or at least one of them. I think it’s because there are so many heightened emotions and I really felt them all. For one, Rose and Dimitri’s forbidden love is in full swing. Dimitri is trying to do the right thing and stay away from Rose but she continues to push him (I love when she pushes his buttons). I thought her frustration, their tension and chemistry was so palpable. We also get to learn more about Rose’s back story, namely who her mother is and what their relationship is like. It gave so much insight into Rose but more than that, we see them skirt around the reality of being a part of one another’s lives. I have a soft spot for mother/daughter relationships and one part towards the end actually brought me to tears. Lissa is less visible in this book because she’s caught up in her own love life (which didn’t bother me because I’m not a big fan of hers; although her boyfriend Christian is one of my favorite characters). So this again gives Rose the chance to focus on herself and be around other people, particularly on the annual St. Vlad’s ski trip. The school is paranoid about the Strigoi attacks so while the Guardians are on edge, the students are determined to have a good time. Until Rose’s friends decide they want to get into the fray and it’s up to her to save them. 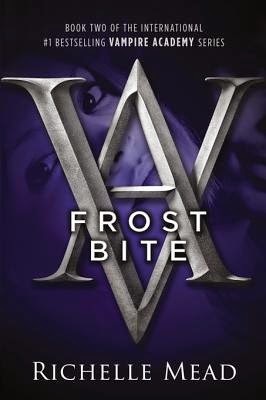 I just thought the characters, intertwining stories, pace and everything was solid in Frostbite. THIS BOOK. 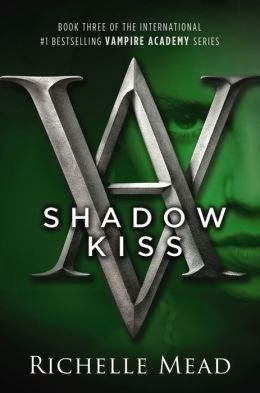 Shadow Kiss is a turning point in this series. One that had me going to Twitter immediately to rant (in a good way) and needing to start the fourth book immediately (which I did). It’s an unstable, crazy time for both Rose and Lissa. After the tragedy from Frostbite, Rose has been feeling out of control, harboring dark thoughts and seeing ghosts. She feels like she can’t tell anyone which only makes her feel more crazed. On the other hand, Lissa is delving into her magic which is never good. She’s getting help exploring her abilities though.. from a fellow Moroi royal named Adrian. He’s actually introduced in the previous book but he gets a more prominent role here. I was told beforehand that he’s a big favorite but you know what, Dimitri totally has my heart in this series. And Rose agrees with me because let’s just say, they start to fight their attraction a lot less in this book. Which you know I loved! As the series progresses, the author continues to delve deeper into the politics between Dhampirs and Moroi, not to mention the abilities and the bond of Rose and Lissa. For the first time, we see the toll it has on Rose to continually put Lissa first and it felt like a natural, not to mention important, place to go in Rose’s story. But seriously that ending? Trust me when I say you need to have the next book handy when you start this one. Check out Alexa's blog for her mini-reviews! We hope you'll enter our giveaway!